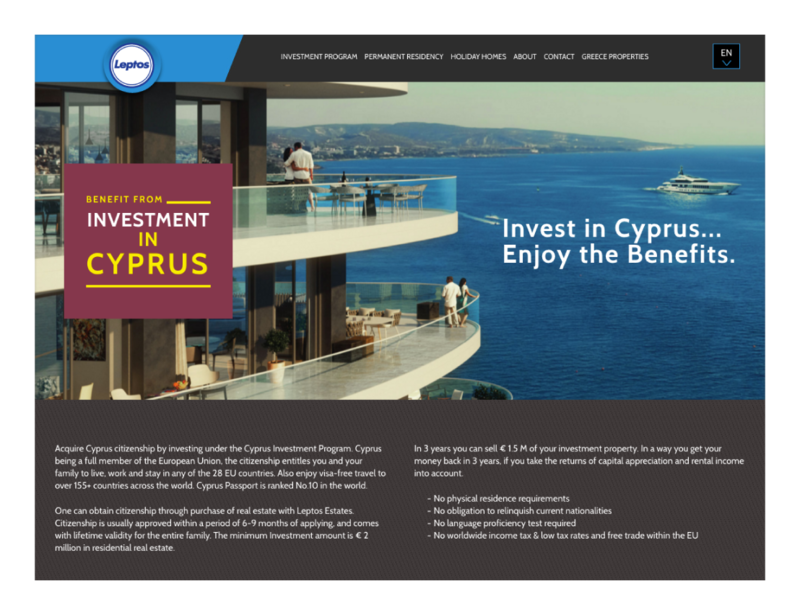 Leptos Estates is a long established organization with over 58 years of history, that has achieved a leading position through the professionalism and team effort of its employees, its international network of sales service in 75 countries, its vast investment in land purchasing and effective after-sales service support. This has been one of the most technically challenging projects we have been involved with so far, especially in regards to the custom Property Management System seamlessly working alongside the custom CMS developed, to fully accommodate and even surpass the specific needs set forth by the Leptos Estates Marketing Team. Our internet marketing team has also been stressed to its limits trying to further enhance the customer experience of the website as well as enhance global search engine rankings. We feel proud and honoured to have been selected by Leptos Estates for a second consecutive time as their Web Agency of choice.